That's one plant (Mystery Squash #1) dominating this slope. Meanwhile, Mystery Squash #1 continues to take over its corner of the known world. 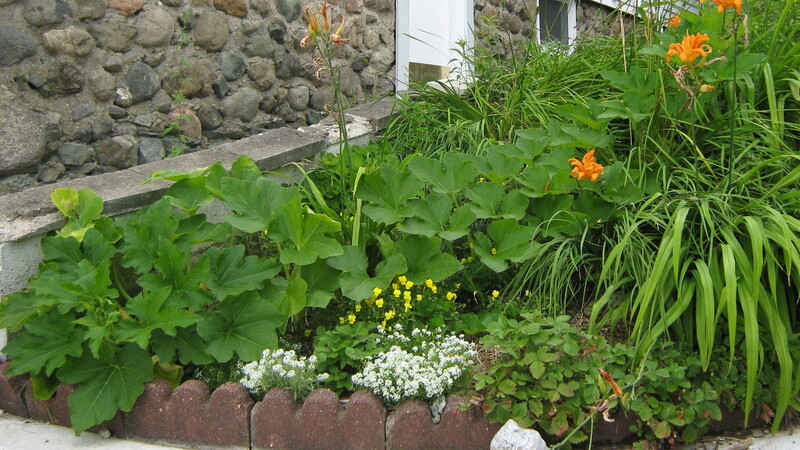 It’s clambering over those daylilies on the right and powering up the slope toward Mystery Squash #2. There’s at least half a dozen more Mystery Squashes scattered out back. And they’re flowering. The male blossoms started about a week ago. 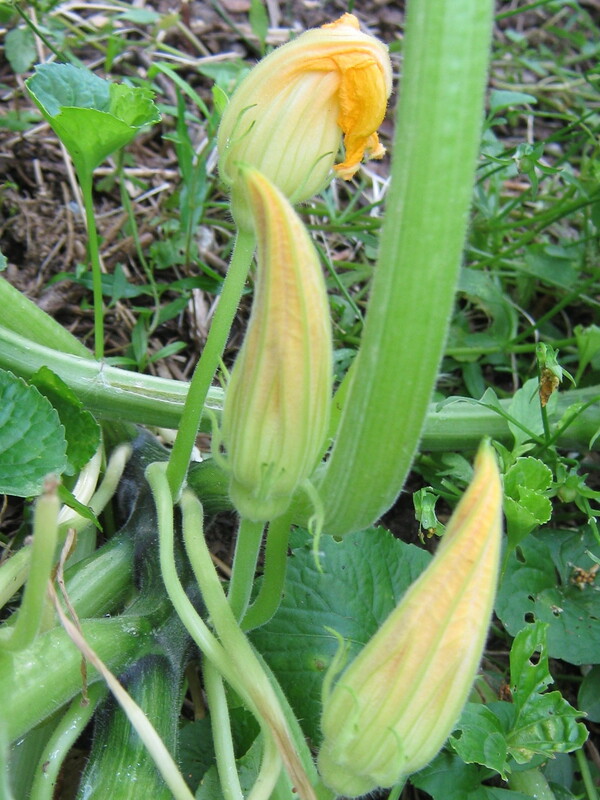 Most of the early squash blossoms are male. As you can see, lots of them queue up to flower, day after day. The unopened ones still have pointy tips. 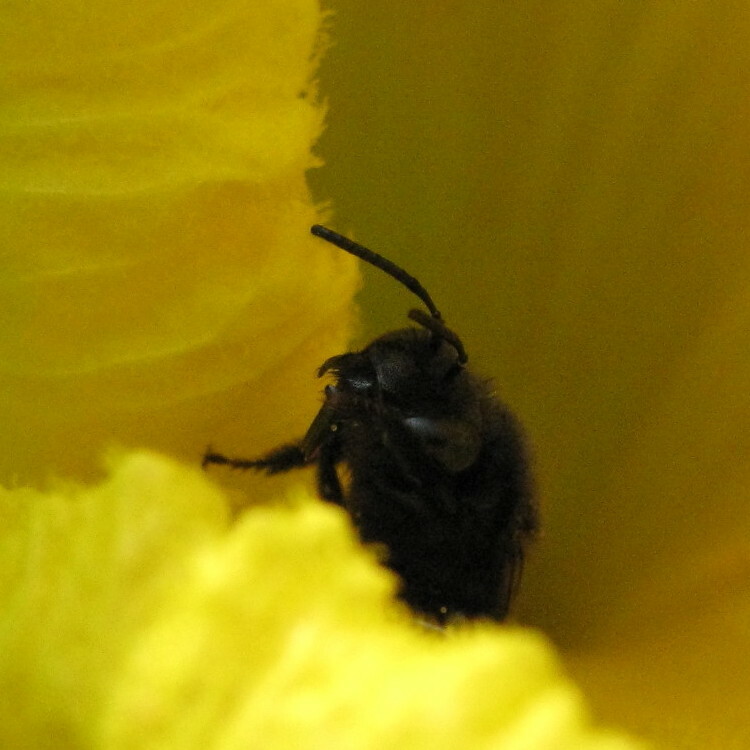 Their pollen is most effective on the morning of the first day that they flower. Then they close up with sort of a loose knot on top. They only open one more day, and then they drop off. Unless you eat them. 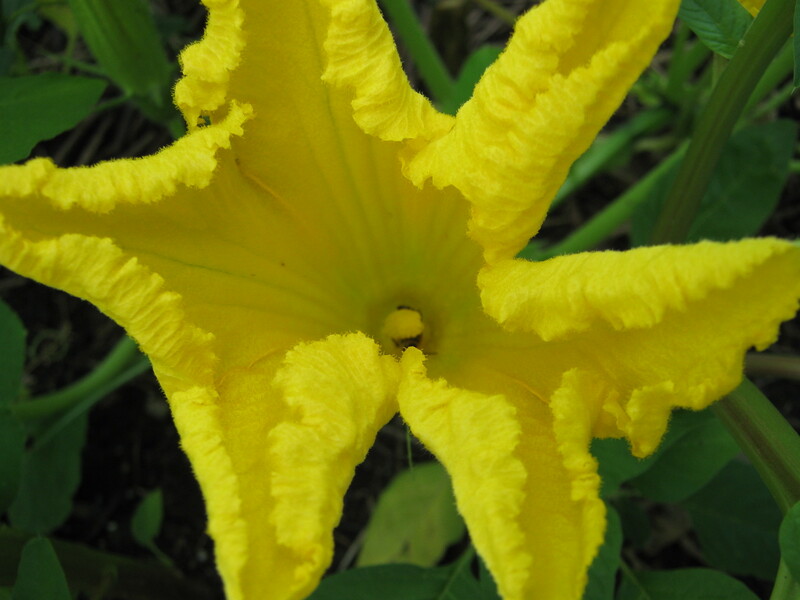 The first thing you need to know if you’re gathering squash blossoms from your garden is you have to trim out the stamens from the male blossoms. Bitter. bitter. Bitter. Learned that one the hard way. And how do you know which ones are female? They have cute little fruitlets underneath. Based on this ridges and that roundness, I’m hoping this one is acorn squash. While you can eat both, leave some female flowers on the plant to get some fruit. Oh hai! I just pollin8ted your squash! The next thing you need to know is to look for bees inside. 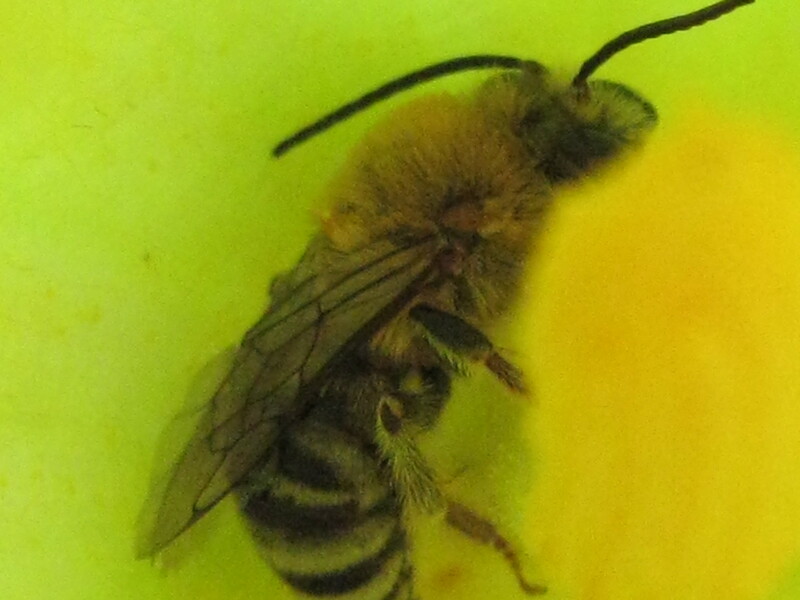 There are squash bees that specialize in pollinating squash. 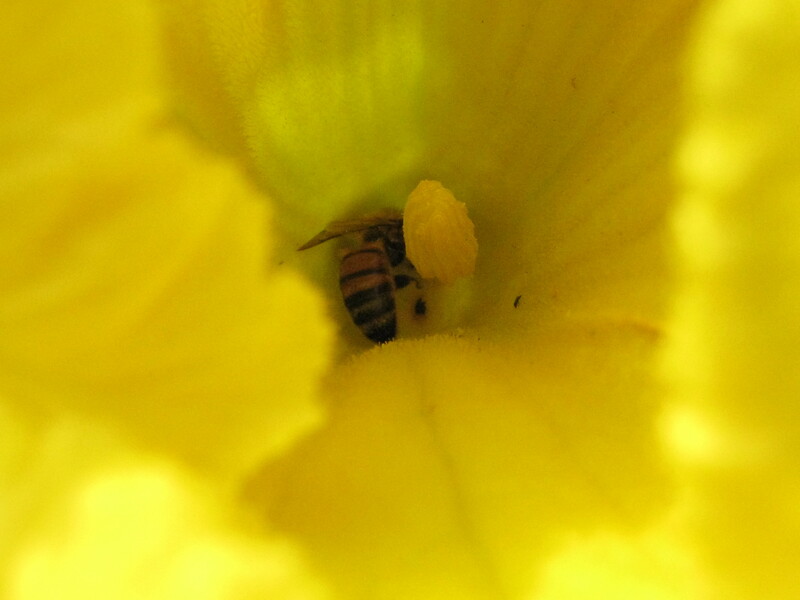 The squash bees come by in the early morning, and by noon, they’ll curl up inside the closing blossoms and go to sleep. I’ve also found honeybees and black Melissodes bees inside my squash blossoms. And then you can eat the flowers. 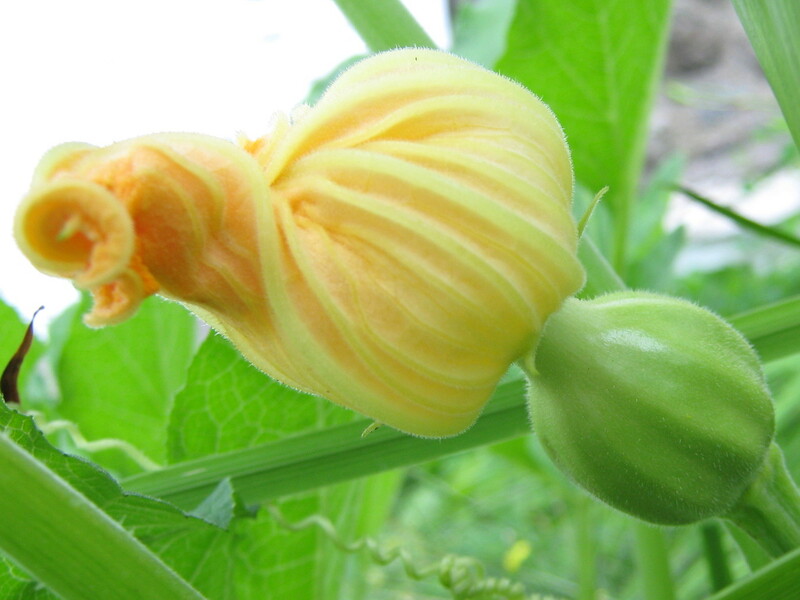 Crisp and fresh, they’re juicy and faintly squashy tasty. You can make fritters, too. I’m too lazy.